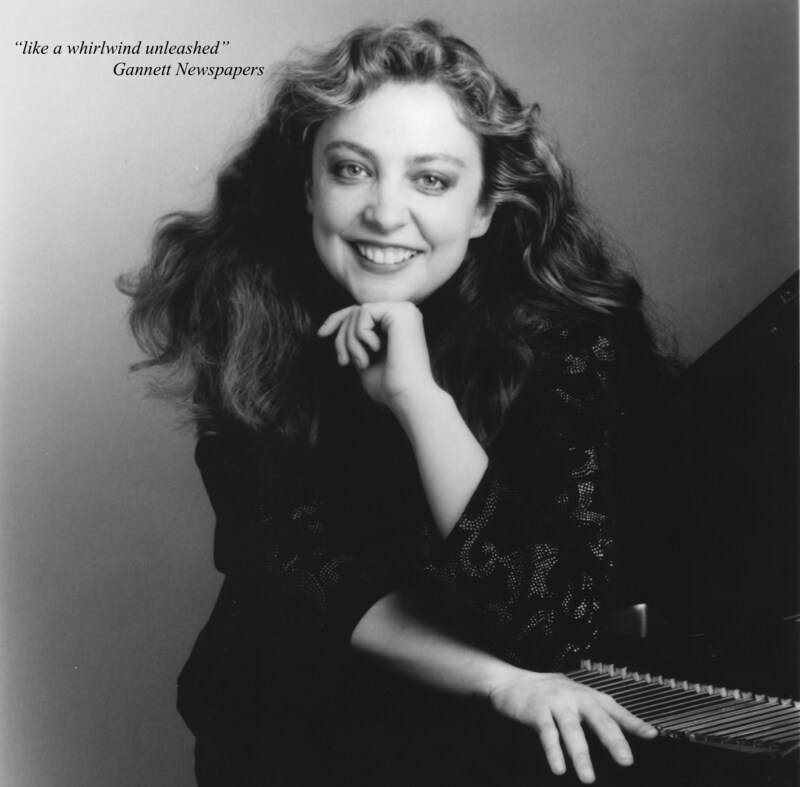 Winner of a wide array of prizes (from Concert Artists Guild International Competition, Washington International Competition, the Kosciuszko National Chopin Competition, the Liederkranz Foundation, the National Arts Club, Artists International, N.Y. Chopin Foundation Council, and others), Ms. Schrade has been likened to "a whirlwind unleashed" (Gannett Press). Known for adventurous programming, she performs a large repertoire that includes rarities as well as established masterpieces. Her numerous performances at Weill Hall (at Carnegie Hall in New York) have inspired glowing praise from the press, including Harris Goldsmith who remarked on her "communicativeness...delectable flair and... the nuance and flexibility that had this listener thinking of Rachmaninoff's own recordings" (New York Concert Review). Lauded in the same paper as "a player who embraces the values of a seemingly long-vanished pianistic style," she has been noted for performances of works from the late nineteenth and early twentieth centuries, including those of Glazunov, Liadov, Liapounoff, Scriabin, Rachmaninoff, and particularly Balakirev, whose music she recorded for a 1995 release (Centaur CRC 2236). That CD was highly praised by Classical Disc Digest and described as "stunning" by Bravo Newspaper. Her CD from 2005 (Piano Transcriptions of Johann Strauss II, CRC 2721) also received high praise from critics (click "recordings" option at left to read CD reviews or to learn how to purchase), as well as her "Homage to Chopin" CD on the Impromptu Classics label. Highly praised in American Record Guide, that last CD included works of Chopin, Flagello, and Rachmaninoff. Please click the navigation bar to read the reviews. While clearly showing an affinity for Russian composers and the romantic virtuoso tradition, Ms. Schrades's recitals have embraced all styles and periods from the early music of Spain to the major works of twentieth century America. For her performances of Liszt and others, she has been cited for a "keen ear for sonority, plenty of temperament, and a fine sense of architecture" (The Plain Dealer, Cleveland), while performances of Beethoven and Chopin have elicited mention of her "wit, passion, and grace" (Talk of the Town feature, The New Yorker). Having performed since the age of five with the celebrated Schrade family of pianists, Ms. Schrade had an early introduction to the joys of music-making. After starting lessons with her parents, Robert Schrade and Rolande Young Schrade, from whom she derives lifetime inspiration, she continued her studies at the Juilliard School with Nadia Reisenberg and Josef Raieff, later obtaining a doctorate on full fellowship from Temple University with Harvey Wedeen. She has performed various concerti of Mozart (having written numerous cadenzas to them and a dissertation on the subject), as well as those by Bach, Haydn, Beethoven, Chopin, Liszt, Saint-Saens, Rachmaninoff, Ravel, and others. Along with solo and chamber appearances, she continued to perform with the Schrade family pianists at numerous critically acclaimed concerts at Lincoln Center in New York as well as the family founded Sevenars Music Festival in Massachusetts ("one of the best small music festivals in the USA," Time Magazine). At Sevenars, she has been described as "Impeccable" and "Stunning" (headlines, The Daily Hampshire Gazette), and as possessing "consummate artistry" (The Union-News, Springfield, MA.) and "a wild range of expressiveness" (The Berkshire Eagle, MA). Ms. Schrade lives with her husband in New York City. She teaches privately (and taught at the Manhattan School of Music Preparatory Division for over ten years). She is a Steinway Artist. In June of 2006, Rorianne began reviewing for the magazine New York Concert Review. All reviews of her own recitals quoting from New York Concert Review are naturally from several years prior to writing for them! Starting in 2016 with concerto appearances at Steinway Hall to benefit the Associated Music Teachers League and joint recitals with other colleagues and friends, Rorianne has been making a gradual return to more regular performing after a five-year onslaught of family health crises, losses, and the accompanying responsibilities. On August 13, 2017 at Sevenars in Worthington, Massachusetts and September 19, 2017 at Weill Hall at Carnegie Hall, Rorianne performed her first full solo recitals since late 2011 when her busy autumn included a solo debut at The Wigmore Hall in London (playing Bach, Bennett, Ravel, and Schumann) and an all-Liszt recital a few weeks later at Weill Hall in New York to commemorate the composer's 200th birthday.